The Independence at Home Demonstration is being conducted by the Center for Medicare and Medicaid Innovation, a part of the Centers for Medicare & Medicaid Services (CMS). The Independence at Home Demonstration is testing a service delivery and payment incentive model that uses home-based primary care teams designed to improve health outcomes and reduce expenditures for Medicare beneficiaries with multiple chronic conditions. The home-based primary care teams are directed by physicians and nurse practitioners. The Independence at Home Demonstration will award incentive payments to healthcare providers who succeed in reducing Medicare expenditures and meet designated quality measures. The Independence at Home Demonstration was created by the Affordable Care Act. Home-based primary care allows health care providers to spend more time with their patients, perform assessments in a patient’s home, and assume greater accountability for all aspects of the patient’s care. This focus on timely and appropriate care is designed to improve overall quality of care and quality of life for patients served, while lowering health care costs by forestalling the need for care in institutional settings. Under the Independence at Home Demonstration, selected participants, including primary care practices will provide home-based primary care to targeted chronically ill beneficiaries for a three-year period. Participating practices will make in-home visits tailored to an individual patient’s needs and preferences. CMS will track the beneficiary’s care experience through quality measures. The beneficiary’s care will be monitored through the use of several quality measures. Practices that succeed in a consistent quality standard established through the use of meeting these quality measures while generating Medicare savings will have an opportunity to share in savings after meeting a minimum savings rate. The Independence at Home Demonstration is limited to 10,000 beneficiaries. The Independence at Home Demonstration is intended to encourage the delivery of high quality primary care in a home setting. As part of their application, the participating practices were required to state that they have documented experience providing home-based primary care. • Serve at least 200 eligible beneficiaries. • The primary care teams also include physician assistants, pharmacists, social workers, and other staff. The participating practices will be eligible for financial incentives if they succeed in offering high quality care that reduces costs for the Medicare program. To qualify for an incentive payment, the practice’s expenditures for participating beneficiaries must be lower than the calculated target expenditure, which represents the expected Medicare FFS expenditures of participating beneficiaries in the absence of the Demonstration. Practices are required to meet stringent quality standards and ensure that financial targets are met. 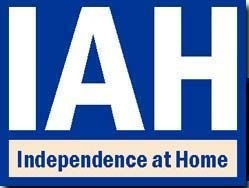 In December 2011, the Innovation Center released a call for applications for the Independence at Home Demonstration with applications due on February 6, 2012. All applications were assessed based on their ability to meet the criteria listed in the solicitation. The Innovation Center selected 16 practices to participate in the Independence at Home Demonstration. In addition to a single practice, multiple primary care practices within a geographic area may apply as a consortium, but are considered as a single entity for the demonstration. For those applicants that submitted a Letter of Intent to apply as a consortium by February 6, 2012, applications are due to CMS by Friday, May 4, 2012. Selected consortiums will be announced at a later date.